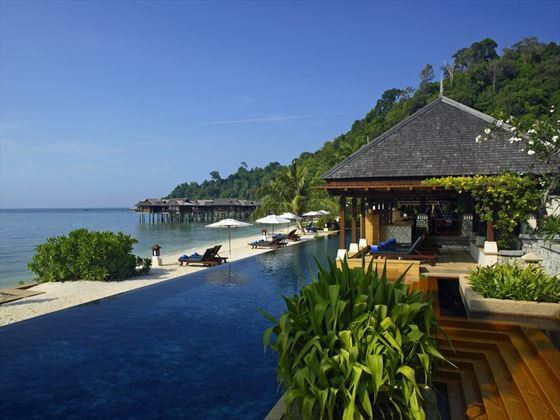 Secluded, welcoming and luxurious – the Pangkor Laut Resort is set on a privately owned island and a fantastic blend of Malaysian landscape and beautiful architecture. Spend your days lounging on the beach and admiring the tropical foliage as the staff endeavour to make your stay as comfortable as possible – a wonderfully relaxing getaway. 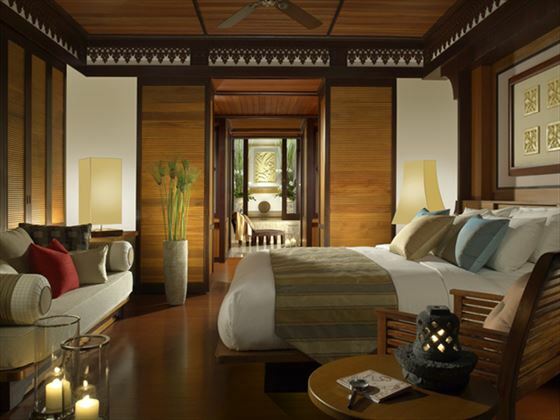 Situated on the west coast of Malaysia, the Pangkor Laut Resort is secluded and indulgent. There’s a selection of activities to enjoy here, such as guided rainforest walks, island hopping or sunset cruises. 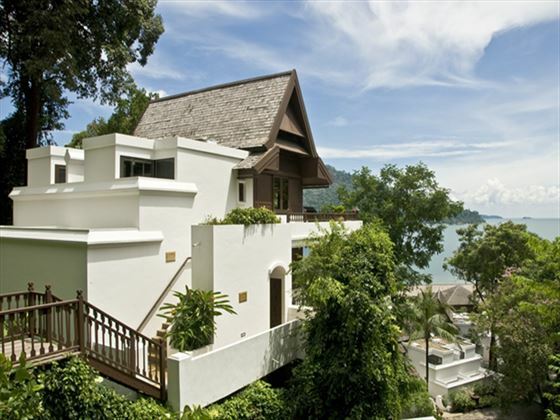 The rooms at Pangkor Laut Resort are set within hillside villas, located within tropical gardens and overlooking the coastal waters. 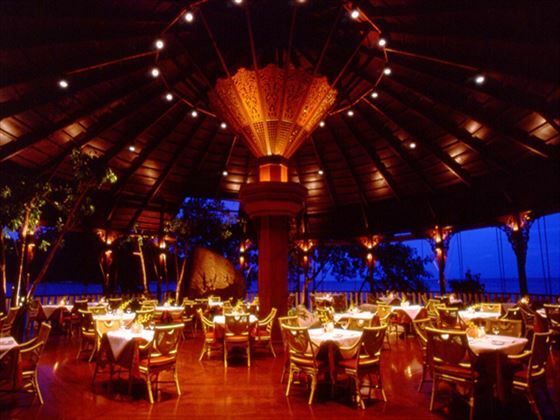 Fisherman’s Cove – A great menu of Italian dishes, fresh and tasty seafood and grilled dishes. Uncle Lim’s Kitchen – Uniquely designed, the food here is exotic and inspired by flavors of the East. 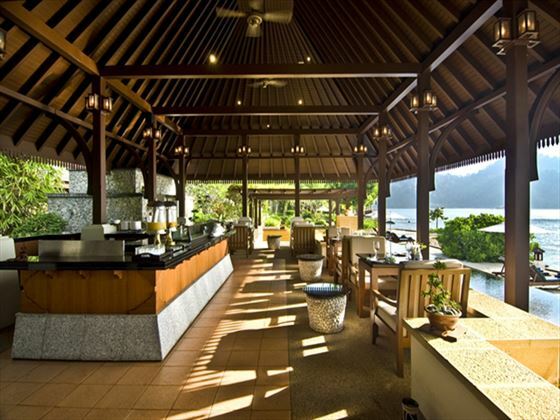 Royal Bay Beach Club – Overlooking the infinity pool, you’ll find a great menu of Asian and Western favorites here. Chapman’s Bar – A great spot for light lunches and refreshing drinks in the sunshine; this bar serves traditional satay and delicious seafood meals. 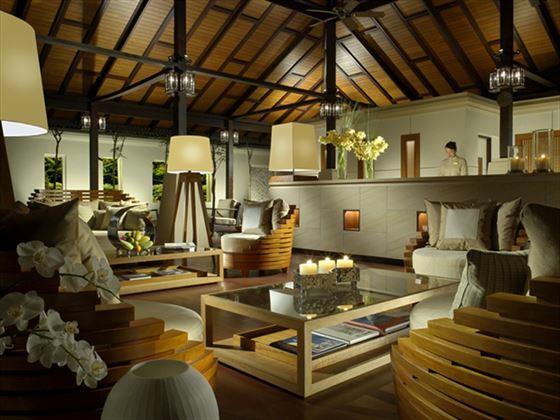 Jamu Bar – Located in the spa village overlooking the Straits of Malacca, the menu here is Japanese-inspired and perfect for health conscious guests. 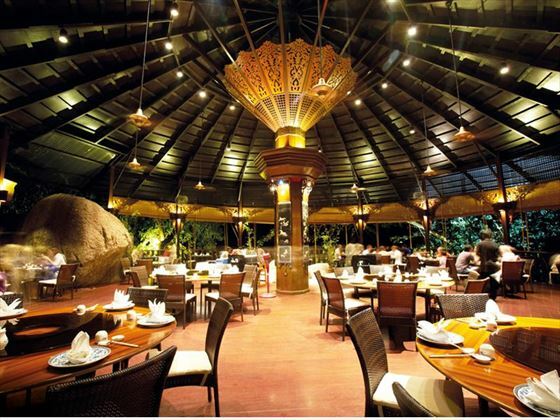 Feast Village – A diverse yet delicious menu of dishes inspired by the Asia-Pacific region. 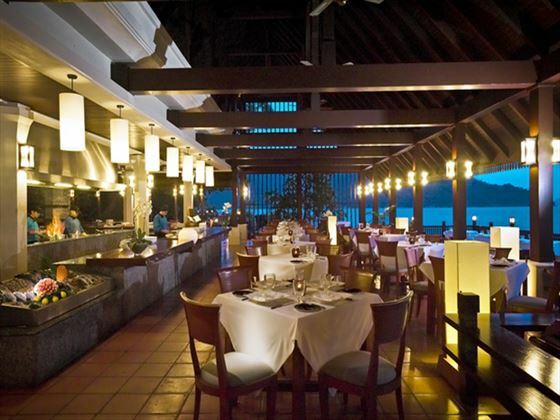 The Straits – Gourmet restaurant serving a selection of dishes which draw from South East Asian flavors and influences. The resort is better suited to couples getaways than family vacations, but babysitting services are available upon request. 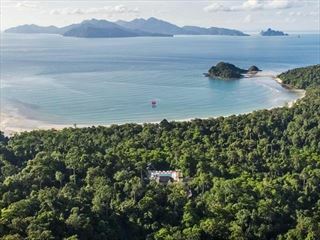 Fantastic offer Stay between 1 May – 30 Jun 19 and receive discounts saving you up to $425 per person. 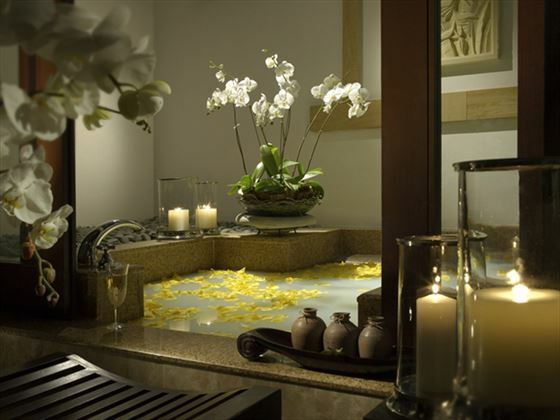 Book by 30 Apr 19 Valid on all room types, minimum 3 night stay. Travel between 1 May – 30 Jun 19.